Three daughters of JJ Crosetti, Jr. are establishing an endowment fund in his honor to provide scholarships and local farming grants. At a press conference held June 15th at the historic Crosetti Ranch, it was announced that the three daughters of JJ Crosetti, Jr. are establishing an endowment fund in his honor. It will be called the JJ Crosetti, Jr. Memorial Fund. The purpose of the fund will be to provide scholarships and local farming grants. 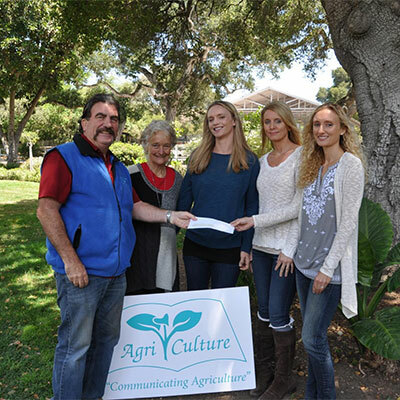 The daughters, Lea Andes, Gina Chekouras and Josie Warren, set up the endowment fund through the educational organization, Agri-Culture. The initial $25,000 gift will come from the Crosetti Lands Company, which includes the three daughters, their Aunt, Jeanette Crosetti, and their cousin Rob Johnston. The family plans to increase its contribution in future years and also encourages those who knew JJ to contribute. The endowed fund be housed at the Community Foundation of Santa Cruz County.